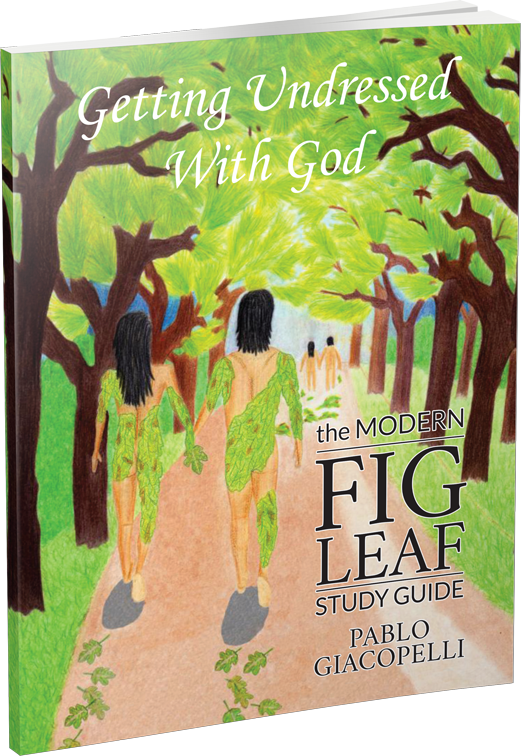 Below you will find the three different options to order a copy of the study guide and the e-book of The Modern Fig Leaf today. Please also note that both versions come accompanied by 7 HD teaching videos and other relevant materials. I read Pablo’s book “The Modern Fig Leaf” and as I came to the end I still felt like there was so much for me to gain from the book. I was so excited when I found out that he was going to put together a Study Guide. “Getting Undressed with God” takes me even deeper in the journey I am on in discovering who I truly am and how Amazing my Father’s Love is for me. It is a Wonderful tool that is definitely life changing. This journey, has stretched, challenged and refreshed me! The small group I lead, are experiencing the same freedom and revelation that have long been stuffed down within my life. Hearts are being changed and discovered, as we search this out together. Striving, stress and the performance based mindset is falling away in the living truth of our journey. Daddy God, loves us just as we are, not as we should be. He will meet us right there, because we will never be as we should be. His love, has been there from the beginning. There is forming a fresh and relaxed peace in this truth, as we just let go and accept His unconditional love. This journey is a breath of fresh air for the heart. Thank you God and thank you Pablo!